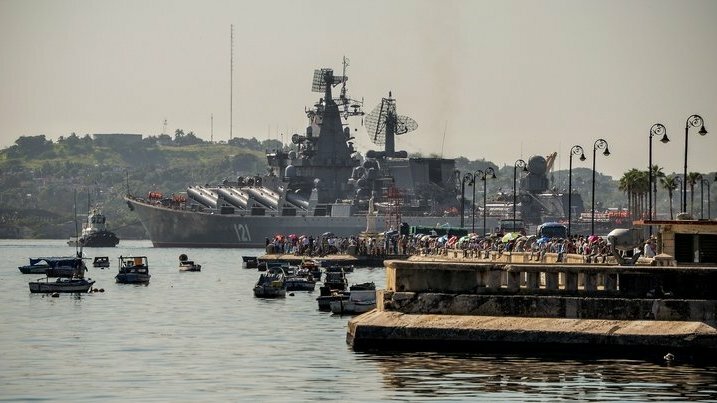 Russia will "over the next few days" be sending an anti-submarine ship and a missile cruiser to the Mediterranean as the West prepares for possible strikes against Syria, the Interfax news agency said on Thursday. "The well-known situation shaping up in the eastern Mediterranean called for certain corrections to the make-up of the naval forces," a source in the Russian General Staff told Interfax. "A large anti-submarine ship of the Northern Fleet will join them (the existing naval forces) over the next few days. "Later it will be joined by the Moskva, a rocket cruiser of the Black Sea Fleet which is now wrapping up its tasks in the northern Atlantic and will soon begin a Transatlantic voyage towards the Strait of Gibraltar."